Blowers & Gas Boosters | Metro Services Inc.
Metro Services, Inc. (MSI) offers a full line of fans including axial, centrifugal, inclined, back-wards inclined and many more. Not limited by one single manufacturer, MSI can ensure the fan selected best fits the task at hand. From a simple repair part, to a new blower or even complex air systems, MSI leads the way with unsurpassed customer support, engineering and integration of blowers of all types. Eclipse Hermetic Boosters are used for pumping any gas or air/gas mixture that’s not corrosive to aluminum or steel when an increase in pressure is required. They deliver gas at any volume, within the capacity range of the booster, with a relatively constant pressure. The discharge pressure is the total of the booster added pressure plus incoming gas pressure. The Hermetic Booster design permits the motor and rotor to be enclosed in an airtight steel housing. 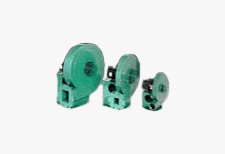 There is no shaft seal, thus eliminating the problem of shaft seal leakage. Motor and rotor are easily accessible by unbolting the cover plate and sliding the entire motor and rotor assembly out of the housing. 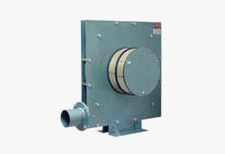 Eclipse “SMJ” Blowers are centrifugal blowers that provide low pressure air for industrial combustion systems. LC patented blowers offer constant pressure in a strong case. They use single stage construction and aluminum impellors. They are field adjustable to 4 discharge positions. Their compact design allows easy cleaning and minimum maintenance. Filters are standard, silencers optional. 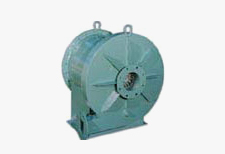 Welded steel type blowers, the W-BLOWERS are available either directly connected on 50/60 Hz motors or “V” belt driven for different speeds of rotation. The impellor, double shrouded of strong, riveted aluminum alloy, is carefully balanced. Six standard discharge positions are available as well as any intermediate position.